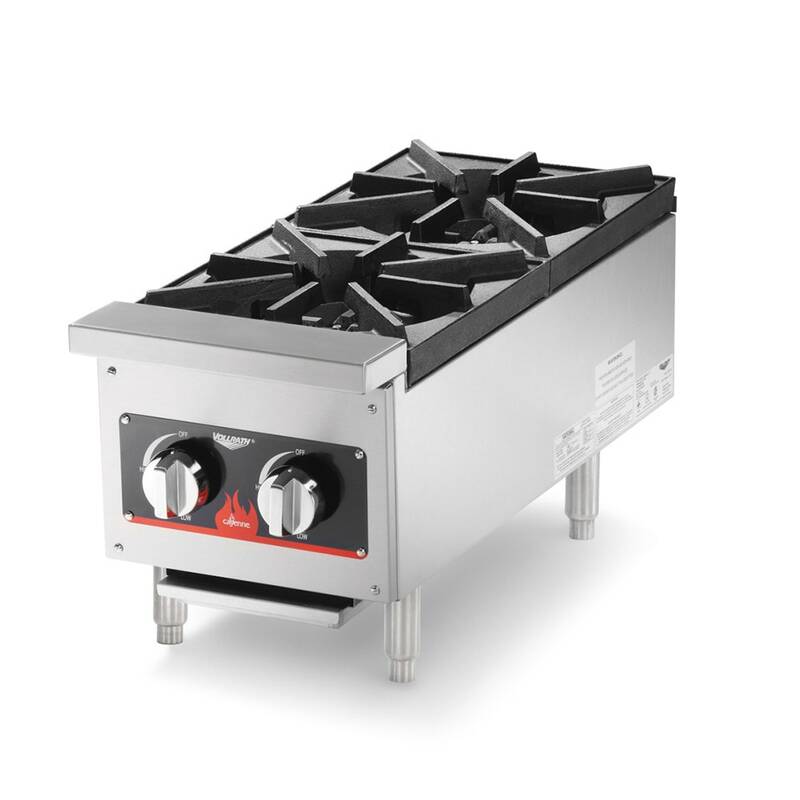 This Vollrath 12" hot plate with 2 burners provides a simple and effective way to prepare a variety of foods, sauces and stews in an economical, safe and hassle free way. Ideal for use in steak houses, restaurants, coffee shops, clubs and pubs this 12" hot plate provides top of the line results despite its small size. The stainless and aluminized construction is easy to clean and highly resistant to corrosion. The heavy duty painted, cast iron grates with center slop of holes provide consistent cooking results and even heating every time. The full width stainless steel drip pan of this 2 burner hot plate keeps your countertops clean. Heavy duty brass valves and a 3/4 NPT gas inlet provide safe and efficient operation. The enclosed back directs heat to the stove top not out of the back for added efficient cooking.